Smoothie…. Chocolate…. What more can I whish for at breakfast?! Perfect start of the day and a great energy booster for my run this afternoon, thanks to the banana and the quinoaflakes. The nuts add a little extra to the intake of essential vitamins and minerals. 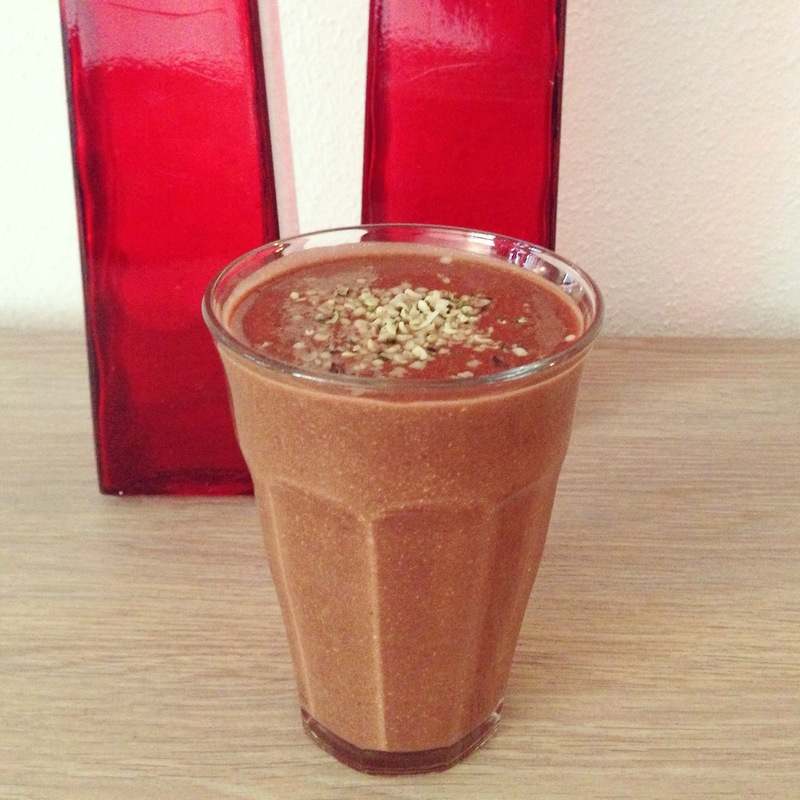 Put all ingredients, except the hempseeds, in a mixing cup and blend together into a creamy smoothie. Poor in a glass and garnish with the hempseeds. Posted in Breakfast, Juices and smuices, recipesTagged breakfast, chocolade, dairyfree, fit, food, glutenfree, glutenvrij, healthy, healthy breakfast, healthy lifestyle, natural, nuts, ontbijt, recipe, seeds, smoothie, soyfree, zuivelvrijBookmark the permalink.